Are you ready to finally get your flat screen TV mounted on the wall? Over the fireplace? 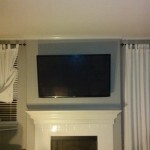 SJS Handyman can install your TV wherever you want it. 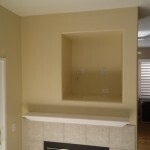 It’s no wonder why everybody in San Marcos wants their TV mounted on the wall. It saves space and it looks great! 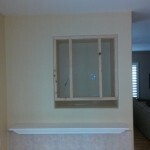 Your Flat Screen TV belongs on the wall! There’s no doubt, a flat screen tv looks best hung on the wall. 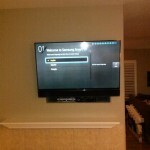 We can install your TV practically anywhere you want it. Don’t have an outlet where you want the TV to go? No problem! 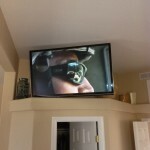 We can install an outlet, hide all the cables in the wall, and give you that clean flat screen wall mounted look that everyone in San Marcos desires. Don’t worry, your TV isn’t too big or too small to mount. 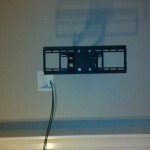 There are mounting brackets that can accommodate any size TV. 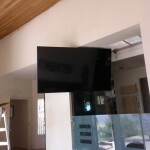 We’ve done this quite a few times now so we have plenty of experience hanging all different brands and sizes of flat screen TV’s in San Marcos and beyond. 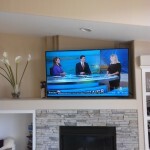 Pricing varies based on many factors but we can mount your flat screen TV on the wall at a very affordable rate! 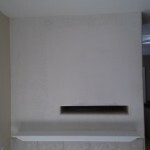 Call 760-580-5224 or submit a free quote request today!